With our passion for cultural, ethnic, religious, and ideological diversity — not to mention our ever-expanding list of multicultural books for children — it should come as no surprise that we love Black History Month. This rich and intricate collection of poems chronicles the various experiences of American slaves before the Civil War. Woven through with imagery drawn from quilting and fiber arts, each poem is spoken from a different perspective: a house slave, a mother losing her daughter to the auction block, a blacksmith, a slave fleeing on the Underground Railroad. 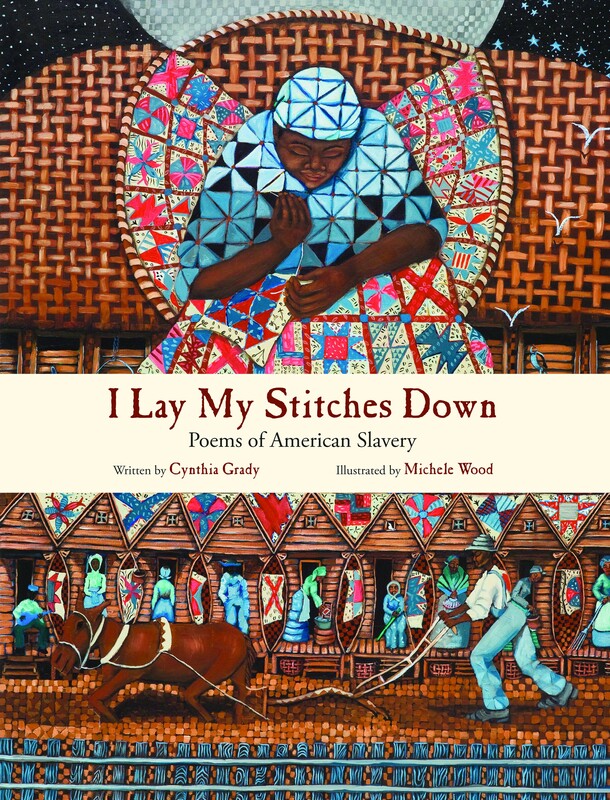 Cynthia Grady’s moving and eloquent poetry, brought to life by vibrant artwork from Coretta Scott King Award-winning illustrator Michele Wood, offers a timeless witness to the hardship endured by America’s slaves. Each poem is supplemented by a historical note. Click here to read a blog post by author Cynthia Grady. 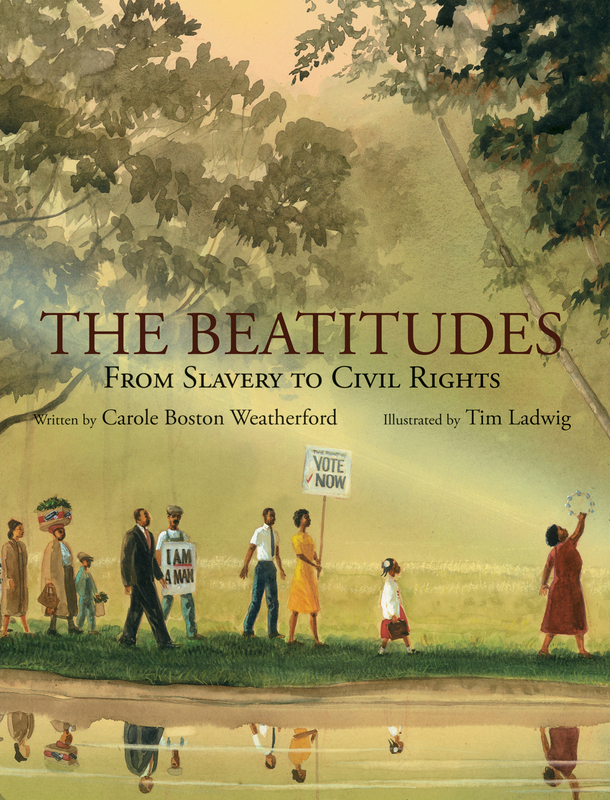 In this book Jesus’ Beatitudes — from the famous Sermon on the Mount — form the backdrop for Carole Boston Weatherford’s powerful free-verse poem that traces the African American journey from slavery to civil rights, highlighting the way in which, since the earliest days of slavery, African Americans have called on their religious faith in the struggle against oppression. Tim Ladwig’s stirring illustrations showcase a panorama of heroes in this struggle, from slaves shackled in the hold of a ship to the first African American president taking his oath of office on the steps of the United States Capitol. In this stirring book, Ben, a young slave, uses every chance he gets to teach himself to read, practicing with the words he sees on street signs and in shop windows and even in cast-off newspapers he finds in the gutter. After the Civil War breaks out, his master leaves town and Ben finds himself locked up in a slave prison. One night, the prisoners bribe a guard to get their hands on a newspaper, and to the applause of his fellow slaves, Ben reads aloud the momentous news of Mr. Lincoln’s Emancipation Proclamation — surely one of the most remarkable readings of that document ever. Softly, quietly comes Sunday for young LaTasha, as she wakes to a day that is always full of glorious sounds: the pipe organ, tambourine, and drum; the footfalls of ushers marching down the aisle of the sanctuary; the sweet harmonies of the choir; and the rich vibrato of the preacher’s voice. LaTasha sings along with the congregation, confident that Heaven hears each joyful note. Sometimes funny, sometimes serious, Nikki Grimes’s poems and the lush tapestry of colors in Michael Bryant’s illustrations celebrate a day of worship — and the rich texture of the African American Christian spiritual tradition — as it is experienced through the sensations of an exuberant little girl. 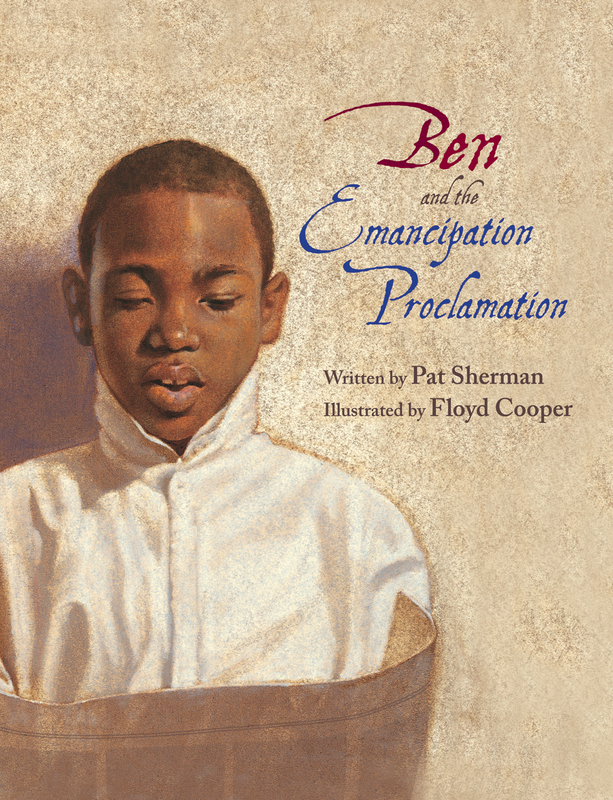 Click here to see a full list of EBYR picture books that celebrate African American history and culture on our website.